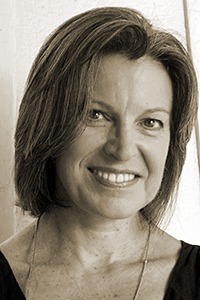 Claudia Emerson is the author of five collections of poetry, all published by Louisiana State University Press as part of their Southern Messenger Poets Series: Secure the Shadow (2012); Figure Studies (2008); Late Wife (2005), which won the 2006 Pulitzer Prize for Poetry; Pinion, an Elegy (2002); and Pharaoh, Pharaoh (1997). Her forthcoming collection, The Opposite House, will also be a part of the series. Emerson was the editor of Best New Poets 2010 (Samovar Press). Her poems have appeared in The New Yorker, Poetry, Prairie Schooner, Smartish Pace, The Southern Review, Shenandoah, TriQuarterly, Crazyhorse, New England Review, and other journals. Emerson has won numerous awards and fellowships, including individual artist fellowships from the National Endowment for the Arts and the Virginia Commission for the Arts, a 2012 Guggenheim Fellowship, the 2009 Donald Justice Award for Poetry, and a 2005 Witter Bynner Fellowship. She is a member of the Fellowship of Southern Writers, and was the 2008–2010 Poet Laureate of Virginia. Emerson is an advisory and contributing editor for Shenandoah, and a professor of English and the Arrington Distinguished Chair in Poetry at the University of Mary Washington.